Workrite Fixed Mount Arm. Adjustable arm without track for fixed position applications. Highly Adjustable and Versatile. 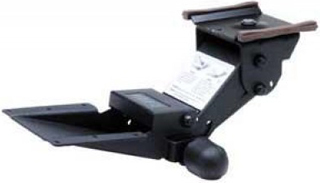 Combines maximum knee clearance with a no-knob, no-lever, Lift-N-Lock height adjustment. Non-Retractable Design For applications where workcenter depth does not allow for a track, or where sliding of the keyboard platform is not necessary. Set It Where You Want It.